As an established travel agent, we also offer amazing car driver services, so that travelling in the hills does not become a trouble for you. The drivers working with us are not only adequately trained but they also possess substantial driving experience throughout the region. They are well-versed with all the routes in the region and they drive with an optimum level of caution. They are well-mannered and they prioritize client safety and security. When you hire drivers from us, you need not worry about your safety. We guarantee enjoyable travelling experiences to you when you trust us by acquiring our car driver services. We have our company base in Gangtok, Sikkim and we are operational throughout Sikkim, Darjeeling, and Kalimpong. 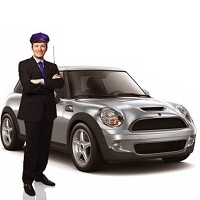 So, to acquiring our car driver services, simply give us a call!